PATTISON Outdoor’s Digital Canvas Wall, located in Bow Valley Square’s office tower complex in Downtown Calgary. PATTISON Outdoor Advertising, a division of The Jim Pattison Group, is Canada’s largest Out-of-Home advertising company. PATTISON provides innovative solutions for Out-of-Home advertising with products ranging from Classic billboards and posters to transit, digital, airports, residential, office, and street furniture. 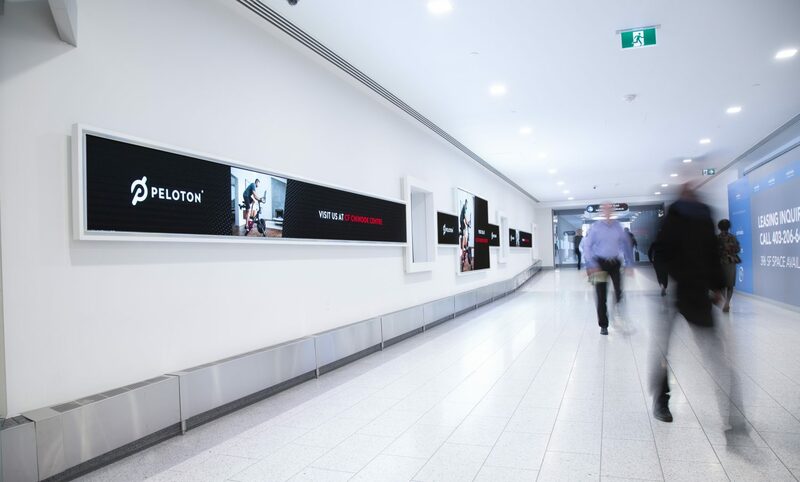 PATTISON offers Canada’s largest portfolio of Digital Out-of-Home (DOOH) advertising properties through PATTISON Onestop, a world-leader in the design, operation, and advancement of digital advertising networks for the office, transportation, sports retail, and residential environments, and with its experiential/interactive development arm at Fourth Wall. PATTISON is headquartered in Toronto, Ontario and includes over 25 sales offices across the country providing advertisers unmatched reach and coverage with products available in nearly 200 markets coast to coast. PATTISON Outdoor Advertising is the exclusive supplier for advertising on the Toronto Transit Commission’s (TTC) transit system.